H2O Extreme is the only kite school in Kenya affiliated by the International Kiteboarding Organisation (IKO) offering kitesurfing lessons for every level and age, and kitesurfing rentals for independent riders. All our instructors are IKO certified, very experienced and follow the IKO safety standards while teaching. We use the latest gear from Zian Kiteboarding, Crazyfly and Prolimit with kite sizes ranging from 5m to 16m. During our beginner group courses (2 students) we try our best to make you an independent kitesurfer in 4 or 6 days. The duration of each class is 2.5 hours per day and includes the following topics: wind and weather theory, gear familiarization, set up, launching and landing techniques, basic piloting, body dragging, water re-launch, board recovery, self rescue, right of way rules, water start and getting on the board and going. At the end of your kitesurf course you will receive the IKO Student Card that certifies your kiteboarding level. The IKO card is valid worldwide, and is required at most schools when you want to rent equipment. 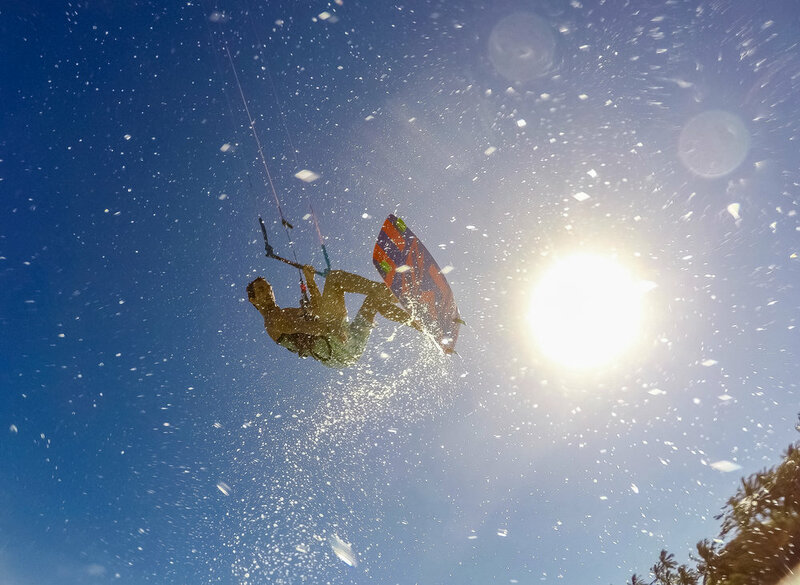 For kiters, who finished their last course on an intermediate level or haven’t kited for a while and want to get back their confidence, we offer private refresher or intermediate classes. During private lessons you have the undivided attention of your teacher and he can coach you exactly at your level. Refresh and build up on what you already know! Are you a complete kitesurfing addict and you want to take it to the next level of kitesurfing? Learn how to do freestyle tricks, how to surf a wave on the directional board or experience the new dimension of kitesurfing on the hydro foil board.Our experienced and skilled instructors are highly motived to coach on a very individual level. First introduction for newbies. Find out if kitesurfing is your thing! Full 4 day course, where you will learn all the necessary basics about kitesurfing up to the water start and your first meters on the board. Full 6 day course, where you will learn all the necessary basics about kitesurfing up to controlled riding into both directions. *Time will be reduced appropriately if only one person in class. As an introduction for newbies, refresher or advanced lesson. Private beginner course, where you will learn all the necessary basics about kitesurfing up to the water start and your first meters on the board. Intensive private beginner course, where you will learn all the necessary basics about kitesurfing up to controlled riding to both directions, staying up wind and changing direction.